The best selling Genesis themes last month are shown below. 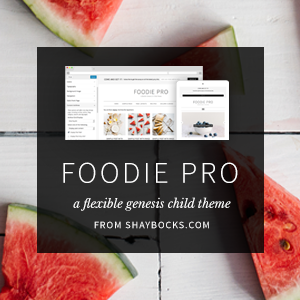 The Foodie Pro theme sits atop that list for the 5th month in a row. Isn’t it time you took a serious look at it? As a Genesis-focused WordPress shop, Cap Web Solutions can quickly customize one of these beautiful themes for your particular need. Every one of them can be tweaked in any number of ways to achieve just the look to best represent your brand. Give us a call today or fill out the form below so that we can take care of the details, so you don’t have to.